CD compilation presented as a radio show hosted by Reverend Dan from KXLU, Los Angeles. 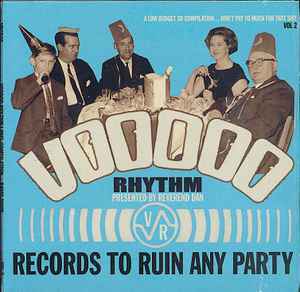 CD compilation title on the spine: Voodoo Rhythm Label Compilation - Radio Show, Vol 2. The first 200 copies come along with the book: V8 Boogie.